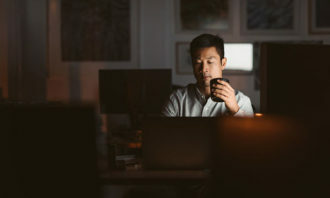 While the 70:20:10 model for learning and development still remains a widely-used and successful framework in the HR scenery, it is giving way to bite-sized learning, hackathons, and hopefully an early adoption of virtual reality tools. Aditi Sharma Kalra takes stock of the learning landscape. It is natural but wrong to visualise training as the sole responsibility of the learning and development team. It is a pervasive culture of learning that truly and continuously brings talented employees to the next level of performance, thus uplifting the larger unit or team. Yet, there are plenty of trends within the training space that make for a robust discussion on the current and future scope of the function. In a recent conversation, John Augustine Ong, Singapore learning lead at ANZ, expressed the future L&D professional’s wishlist. For decades, learning professionals have sought to make the lesson come alive for our learners in the name of experiential learning. Virtual reality (VR), he said, is going to take that concept to a whole new level. “From the Oculus Rift to Samsung Gear VR and a whole host of upcoming products that are being developed, I believe VR can be harnessed to create the ultimate learning experience for our learners by immersing them in ultra-realistic scenarios, Ong predicted. Indeed, a number of organisations are taking steps in the right direction. The Ministry of Manpower’s (MOM) 2015 Job Vacancy Survey revealed job vacancies in Singapore are at a six-year high, with the services sector, that accounts for the expansion of the healthcare sector, accounting for four in five of all vacancies (or 49,860) in September 2014. To future-proof itself, Singapore General Hospital (SGH) invests heavily in a Total Learning Plan (TLP), that helps optimise the hospital’s limited resources in selecting the most suitable candidate for programmes, while ensuring a fair and transparent distribution of learning opportunities. Goh Leong Huat, director HR, Singapore General Hospital, explains organisational development, and leadership and management training feature heavily in SGH’s learning suite. All staff are imbued with the importance of organisational excellence through a “Service with a Heart” programme. A hospital-wide Learning Fiesta is held every year to emphasise the importance of life-long learning and provide unique bite-sized learning opportunities for all staff. Ongoing training continually sensitises supervisors with the knowledge and skills to effectively handle workplace grievances, manage diversity, and generally treat all staff fairly and appropriately. Not only is such training timely, given Singapore’s nationwide SkillsFuture agenda, but is also relevant – given that in Roffey Park’s new research of 1,400 managers across Singapore, Hong Kong and China, at least one in every four respondents said their leaders are ineffective at connecting with them on a personal and emotional level. For SGH, various measures have validated the training efforts. The Hospital’s biennial Employee Engagement Survey (EES) in 2014 registered a resounding 93% participation rate, with satisfaction scores significantly better than various national benchmarks across almost all the engagement categories surveyed. In addition, SGH won the TAFEP Exemplary Employer Award 2016. The banking industry, like others, is being profoundly impacted by emerging technologies and changing customer expectations. DBS’ challenge then is to future-proof its 22,000 employees across multiple markets. “The way we work and our career development programmes have to create an enabling and empowering environment for change,” Theresa Phua, Singapore head of HR, at DBS Bank divulges. In response, learning at DBS has become more experiential through hackathons, human-centred design and agile methodology workshops. In 2015, more than 2,000 DBS employees benefited from this across the region, and more than 1,000 experiments are being run. In these sessions, employees learn to understand the customer’s job-to-be-done, their pain points, and to prototype quickly and test solutions. 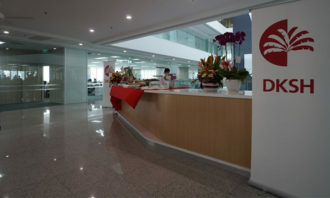 The bank established DBS Academy in Singapore, Indonesia and Taiwan to help employees continuously develop their skills. In 2015, about 129,000 training days were undertaken by employees. Each year, the bank conducts close to 15,000 training sessions, with a growing number of these being digital courses. This year, the focus is on developing thought leaders to drive the digital agenda in the bank. DBS SkillsFlex has also been introduced to complement the Singapore government’s SkillsFuture courses aimed at upskilling the workforce. All employees in Singapore ranked senior associate and below will receive SGD 500 DBS SkillsFlex Credit annually for customised courses. Eligible employees can also use these credits for SkillsFuture courses, many of which are digital-oriented. In proof of the pudding, DBS Bank recently won the I-Future award at TAFEP Exemplary Employer Award 2016, as well as the best candidate experience by a corporate HR team at the Asia Recruitment Awards. “The odds are that development will be about 70% from on-the-job experiences – working on tasks and problems; about 20% from feedback and working around good and bad examples of the need; and 10% from courses and reading.” This observation was made by researchers at Center for Creative Leadership (CCL), Michael M. Lombardo and Robert W. Eichinger, in their 1996 book The Career Architect Development Planner. Two decades and counting – the 70:20:10 model for learning and development still remains a widely-used framework in the HR scenery. Ricoh Malaysia, in the business of imaging and industrial products, adopts a 70:20:10 learning framework, whereby 70% of the talent’s development plan is on-the-job experience, 20% mentoring and coaching, and 10% training, courses and reading. “We strongly believe in building internal talent by meeting our employees’ career growth aspiration and business objectives,” affirms Doris Tham, general manager of human resources at Ricoh Malaysia. Talent is selected for Ricoh’s various training programmes on the basis of record of consistent performance as well as leadership potential in taking up higher roles or responsibilities. Once selected, the employees undergo assessments for competencies, behavioural and career motive assessments. These assessment reports are used as a reference during career dialogue sessions between the talent, immediate manager and HR business partner. This input is used for a range of programme for talent across all levels. One of these is the 12-month leadership development programme for general managers and senior managers, where the modules include material on managing self, others, business, and change. Another 12-month programme is the one for people management development for managers and assistant managers; with engage, empower, evaluate, and enforce as the modules. A lightly shorter one at eight months is the executive development programme for supervisors and team leads; where modules include personal effectiveness, team effectiveness, effective communication, and effective execution. All the leadership development programmes include pre and post 360 degree feedback, competencies assessment and personal coaching. “Besides leadership development programmes, we create an environment for talent to be exposed to projects and assignments to gain hands-on experience, leading to both internal and external learning,” Tham adds. Having consistently devoted time and effort to the leadership potential-performance matrix in training, Ricoh Malaysia has been successful in grooming internal talent to take up critical positions. More than half (57%) of the management team members have promoted through rank and file. The direct sales workforce turnover rate has improved from 40% to 25% over the last three consecutive years. In addition, Ricoh’s business growth has been consistently strong over the last decade. 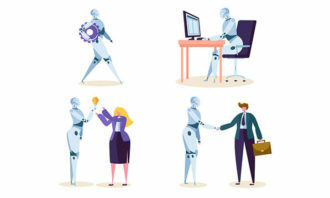 The future human capital needs and learning landscape will change due to rapid and immerse market competition, globalisation and technology advancement. Rounding up the case study, Tham points out that perhaps in the future, talented employees are no longer viewed as ‘assets’ of the company but rather as a services enabler or business partner in achieving shared goals. Which CEOs spend the most on the corporate jet? The bosses of Bank of America, Boeing and General Electric certainly seem to make the most of this CEO perk. ..